Bandai’s Figuarts line has made some truly fantastic figures — but these new ones based on the Teenage Mutant Ninja Turtles cartoon are some of their best. Images of the prototypes for these 6-inch scale toys have been floating around for a while now, but this is our first look at them as a final, painted product, and they look like they’ve stepped out of an animation cell and onto your toy shelf. The expressions are great and full of character. They’re also full of bright, brilliant colour. 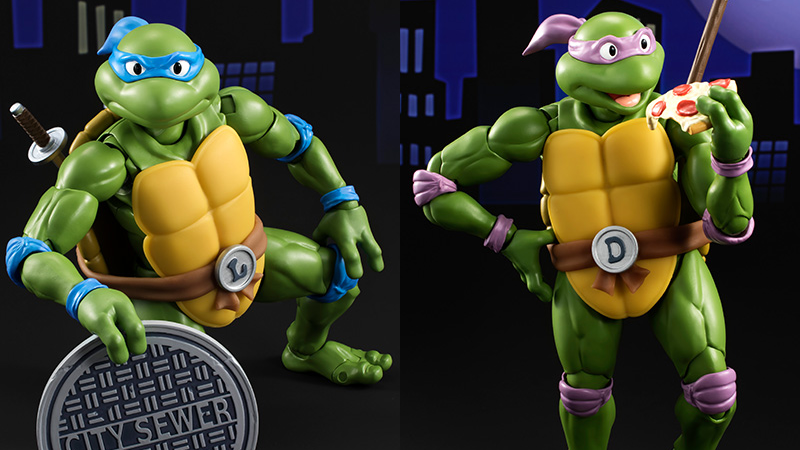 These might even be the ultimate TMNT toys for fans of the cartoon’s classic goofball interpretation of the comic book heroes. Sadly, you can’t own all of them quite yet — and getting them if you’re outside Japan could prove to be a bit of a challenge. 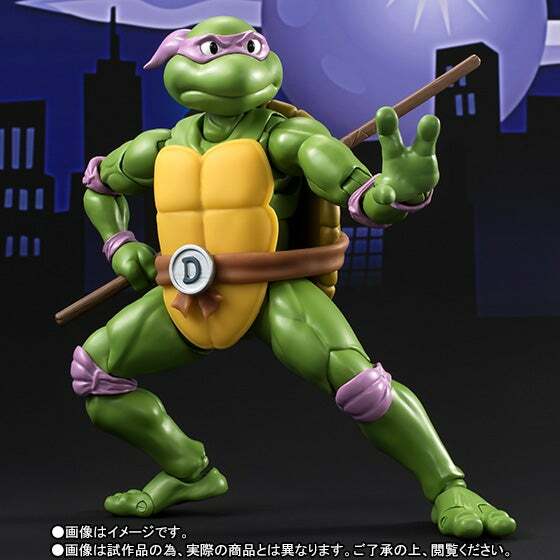 So far Bandai has only announced details for preordering Donatello and Leonardo, which will become available to order this Friday in Japan ahead of an August release. On top of that, they’ll also be exclusive to its Tamashii Nations webstore. 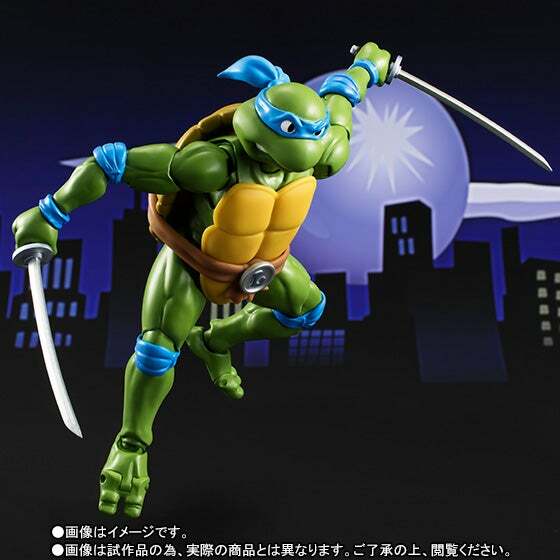 Both figures come with their trusty weapons (Dontatello, his staff, Leonardo, his Katanas), alternate faces for different emotions, and an accessory: Leonardo gets a manhole cover, while Donatello gets a Turtle’s most coveted item: a slice of pepperoni pizza. Hopefully Raphael and Michaelangelo aren’t too far behind, because not only do these figures look great, you can’t just buy one. The heroes in a half-shell are a package deal! It’ll be a pricey package though. In Japan, each figure will set you back 7,020 Yen (about £44). That’s going to be a lot for all four, but man, they look worth it.